Mark is a talented craftsman and is passionate about creating beautiful and unique furniture that will add elegance and character to your home. Mark Antony Ltd are the areas leading joinery company and offer a truly bespoke service that’s backed by a commitment to outstanding quality and a reputation for craftsmanship of the highest standards. The information here is designed to offer an insight into the many services and projects that Mark and his team undertake. 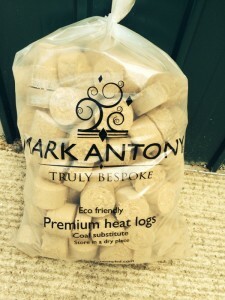 All of our waste wood is recycled into Wooden Brickettes which are ideal for use on traditional open fires, log burners and stoves. Mark has been awarded the coveted City & Guilds Medal of Excellence which recognises not only excellent results but rewards those who have gone above and beyond what is expected to achieve their goals.